There can’t be any dog out there that doesn’t love homemade dog treats. The same way we love to have some time off to enjoy some delicious snacks, dogs love to enjoy a few dog treats for themselves if they done something good or at any other time actually! Treats serve as great gestures and rewards for well-behaved dogs or showing your love and affection towards them. 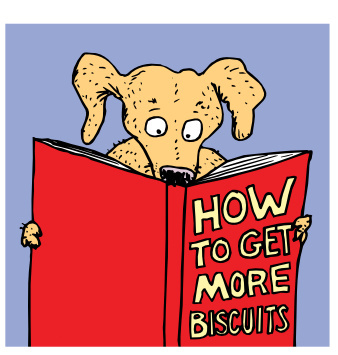 As you start giving your pets more dog treats, your dogs will start craving for them more and you may find yourself buying more boxes and giving more treats every day. Think of dog treats as junk food for dogs – they make great tasty snacks, but too much of them can be unhealthy. Once your dog starts loving these treats, you’ll end up buying more and some of the better and healthier dog treats can be quite expensive. If you want to have great tasting doggy treats that are nutritious and money saving, then why not make them yourself? Making homemade dog treats is definitely possible and only requires a few natural ingredients combined with same cooking skills that you use in preparing foods for you and your family. 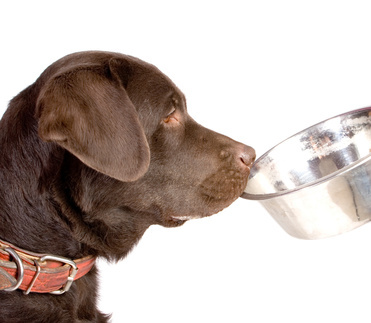 Since you have full control of what goes into them, you know exactly what nutrients are taken in by your dog. Most of the basic ingredients are affordable and cost a lot less than pre-packaged dog treats. Expect some money savings as soon as you begin making the dog treats yourself. Best thing is that you won’t be adding any harmful preservatives and other additives that can be responsible for putting your dog’s health at risk. Also remember that you are preparing these foods using all-natural ingredients. This should mean that your dogs will benefit from a tasty healthy snack. There are tons of tasty recipe treats that will make your dog happy. All you need are the right ingredients for preparation. Homemade dog treats aren’t complete without some whole-wheat flour, which makes most of the dog biscuit. Don’t forget to add some water, egg, and cornmeal to fully make it cookie dough. A little bit of vegetable oil helps too in making it a bit tasty. All you need to do after you have that mixture is prepare them the same way you prepare cookies; preheat the oven and bake your cookies to perfection and they will be ready to go. You can optionally make your homemade dog treats extra special for your dog by adding beef broth, chicken bouillon, or even some cheddar cheese. Never include ingredients like seeds, fruit pits, yeast, nutmeg, salt, corn, beans, chocolate, and dairy ingredients in your homemade dog treats. These ingredients will cause nothing but harm to your dogs health. If you are unsure with a particular ingredient, look it up first or consult a dog food expert before making these treats yourself. You can always play it safe by sticking with the healthy basics. Well-prepared dog treats are 100% better than all kinds of dog treats that you see in stores. All it takes is some effort to prepare them, but it is definitely worth the effort. Just remember to keep your ingredients as natural as possible and you’ll never feel guilty about spoiling your dog with treats ever again.